Just a few inches across and ready for orbit. The “Cube” here simply refers to the satellite’s shape. 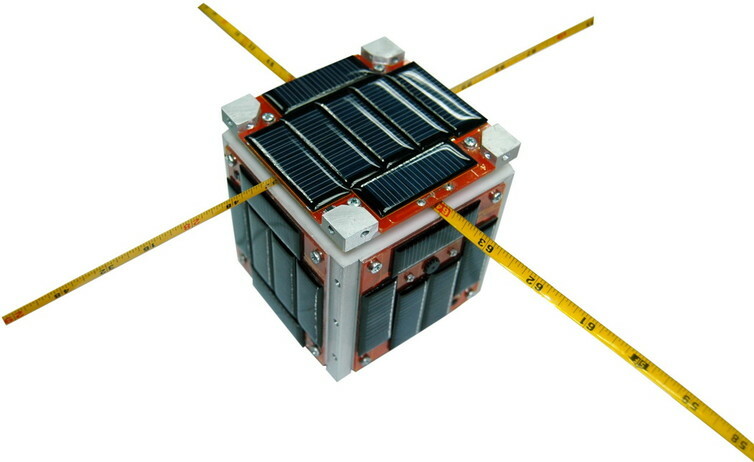 The most common CubeSat (the so-called “1U” satellite) is a 10 cm (roughly 4 inches) cube, so small that a single CubeSat could easily be mistaken for a paperweight on your desk. These mini, modular satellites can fit in a launch vehicle’s formerly “wasted space.” Multiples can be deployed in combination for more complex missions than could be achieved by one CubeSat alone. They’re primarily designed for Low Earth Orbit (LEO) – an easily accessible region of space from around 200 to 800 miles above the Earth, where human-tended missions like the Hubble Space Telescope and the International Space Station (ISS) hang out. But they can attain more distant orbits; NASA plans for most of its future Earth-escaping payloads (to the moon and Mars especially) to carry CubeSats. Because they’re so small and light, it costs much less to get a CubeSat into Earth orbit than a traditional communication or GPS satellite. For instance, a research group here at Arizona State University recently claimed their developmental “femtosats” (especially small CubeSats) could cost as little as US$3,000 to put in orbit. This decrease in cost is allowing researchers, hobbyists and even elementary school groups to put simple instruments into LEO, by piggybacking onto rocket launches, or even having them deployed from the ISS. The first CubeSat was created in the early 2000s, as a way of enabling CalPoly and Stanford graduate students to design, build, test and operate a spacecraft with similar capabilities to the USSR’s Sputnik. Since then, NASA, the National Reconnaissance Office and even Boeing have all launched and operated CubeSats. There are more than 130 currently operational in orbit. The NASA Educational Launch of Nano Satellite (ELaNa) program, which offers free launches for educational groups and science missions, is now open to U.S. nonprofit corporations as well. 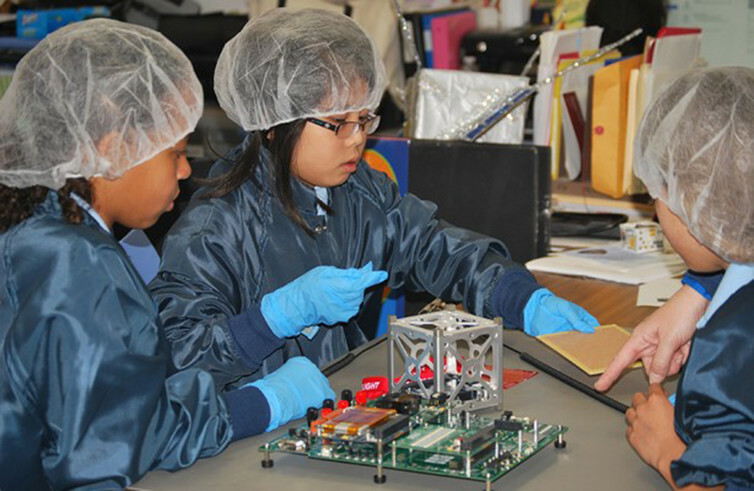 Pre-K through 8th grade students at St. Thomas More Cathedral School in Arlington, Virginia designed, built and tested a CubeSat that was deployed in space. The National Academy of Sciences report emphasizes CubeSats’ importance in scientific discovery and the training of future space scientists and engineers. Yet it also acknowledges that widespread deployment of LEO CubeSats isn’t risk-free. As CubeSat researchers are quick to point out, these are far-fetched scenarios. But they suggest that now’s the time to ponder unexpected and unintended possible consequences of more people than ever having access to their own small slice of space. In an era when you can simply buy a CubeSat kit off the shelf, how can we trust the satellites over our heads were developed with good intentions by people who knew what they were doing? 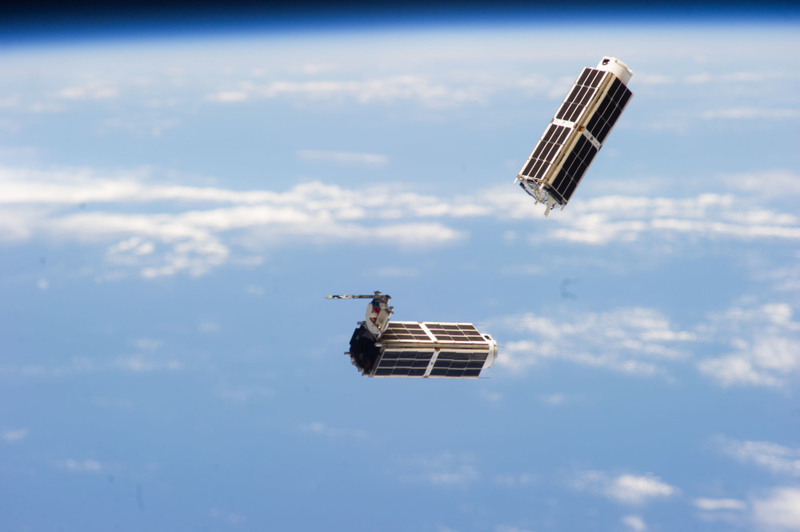 Modular CubeSats deployed from ISS. In 1969, the Radio Amateur Satellite Corporation (AMSAT) was created in order to foster ham radio enthusiasts’ participation in space research and communication. It continued the efforts, begun in 1961, by Project OSCAR – a U.S.-based group that built and launched the very first nongovernmental satellite just four years after Sputnik. This means that it would be incredibly difficult to sneak something by us … there’s no way to smuggle explosives or an energy emitter into an amateur satellite when everyone has access to the designs and implementation. 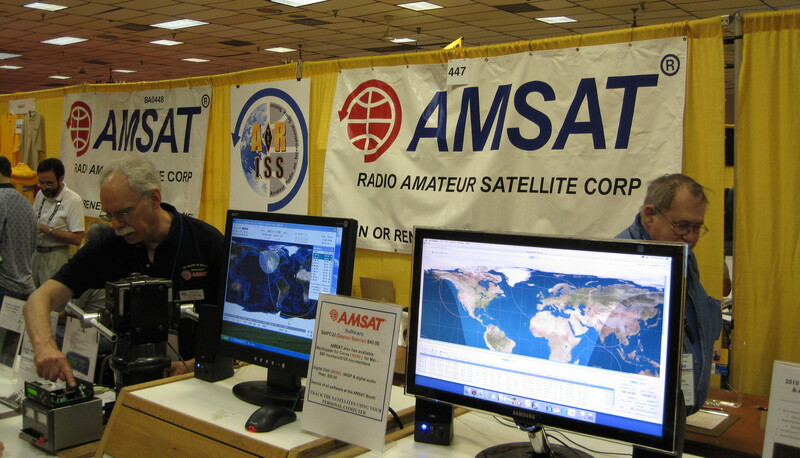 AMSAT has a long history as a collaborative community. This is where a culture of social responsibility around CubeSats becomes important – not simply for ensuring that physical risks are minimized (and good practices are adhered to), but also to engage with a much larger community in anticipating and managing less obvious consequences of the technology. For instance, see the diy-bio community, where hobbyists work in advanced community biotech labs. Their growing community commitment to safety and responsibility is highlighting how amateurs can embrace responsibility in research and innovation. A similar commitment is seen within open-source software and hardware communities, such as the members of the Linux Foundation.